Paris Saint-Germain will reportedly make a late bid for Chelsea’s Willian in light of Neymar’s recent injury blow. The French giants suffered a major setback on Tuesday evening after a group of world-renowned medical experts met at their Ooredoo Training Centre and ruled Neymar out for 10 weeks after injuring the very same metatarsal he broke last year. This means Neymar is facing around three months on the sidelines and will certainly miss both legs of PSG’s last-16 Champions League clash with Manchester United. Therefore, PSG are in need of someone capable of filling Neymar’s boots in the meantime with Sky Sports reporting that man to be Willian. 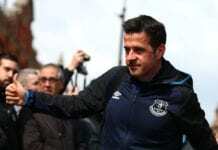 The Brazilian winger had been a subject of interest to Barcelona again in this month’s transfer window after having three summer bids turned down by the Blues. Reports had suggested the Blaugrana had been considering a trade deal involving the out-of-favour Malcom in exchange for Willian this month. A move to China had also been touted for Willian with just 18 months left remaining on his current contract at Chelsea. 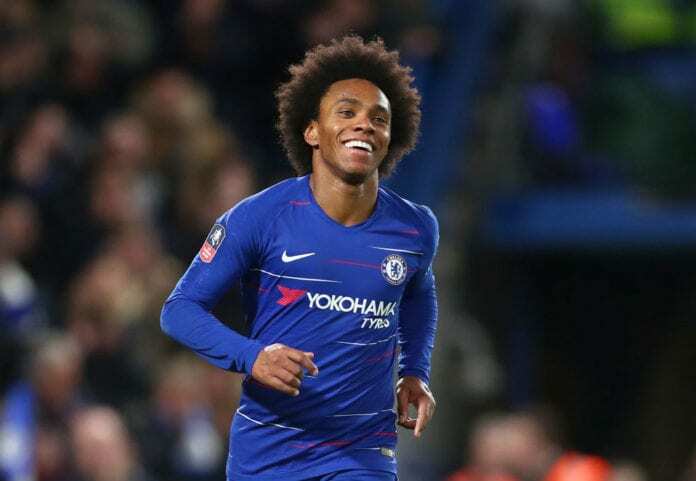 But the Blues have refused to put Willian up for sale so far with manager Maurizio Sarri keen to retain the 30-year-old. “As you know, Willian for us is very important,” said Sarri earlier this month. Willian has managed three goals and assists in 23 Premier League appearances for Chelsea this season with 20 of them coming as a starter. Meanwhile, young star Callum Hudson-Odoi is set to remain at Stamford Bridge this month despite strong interest from Bayern Munich. However, Chelsea’s top-four hopes in the Premier League suffered a major blow on Wednesday night with a 4-0 defeat at Bournemouth. Sarri’s side have now dropped behind Arsenal to fifth-place in the standings due to an inferior goal difference. Next articleMaguire disagrees with Klopp: I didn’t deserve a red card!